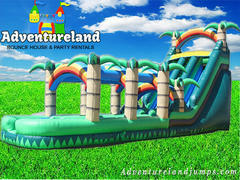 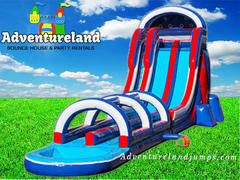 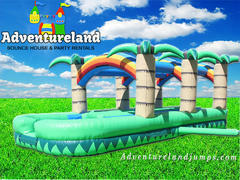 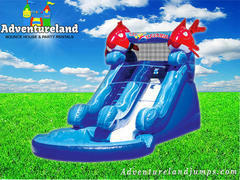 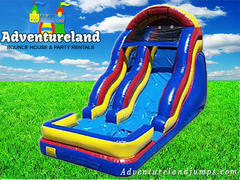 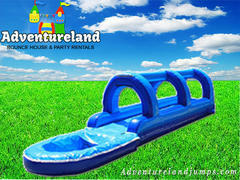 Adventureland Bounce Houses has the best selection of water slides in Sacramento, CA. 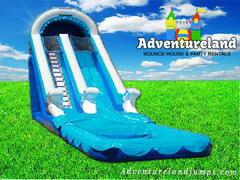 We can add that something special to a children's party or provide the entertainment to your adult party with our vast selection of water slides. 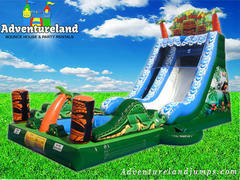 The tropical themed water slide is our newest feature with two lanes of non stop entertainment. 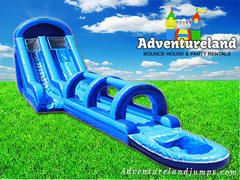 Our 18ft wave slide is perfect for the kiddo's! 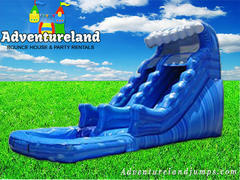 Our water slides provide hours of fun and make great additions to any summer time party. 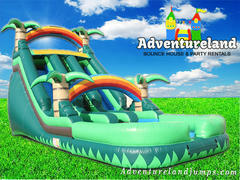 If your looking for a really big water slide, our Giant American Water Slide is the biggest in our inventory! 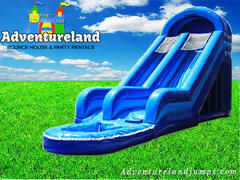 Standing at 22ft tall, and 65ft long, this slide send riders flying down from the top & zipping threw a 30ft slip n slide until you get dropped into the pool waiting for you at the end.